Performance: Fully reclining for maximum comfort and convenience. 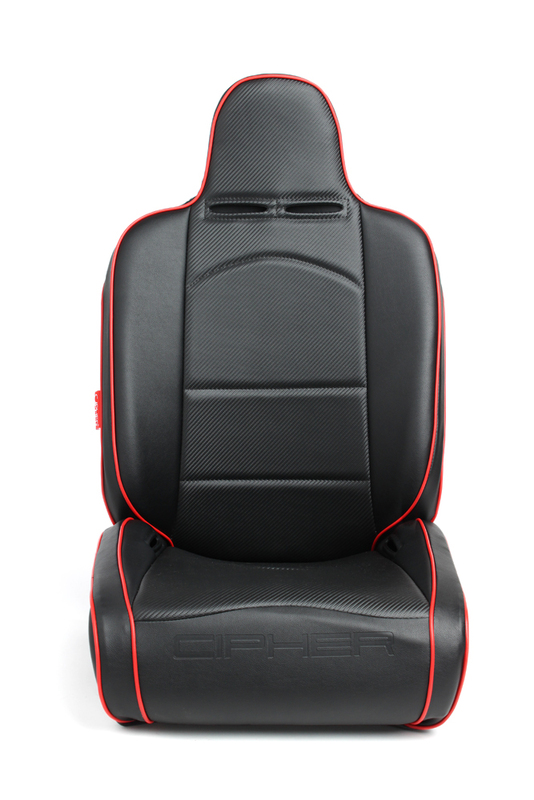 Cipher suspension seat will fit up to a 38" inch waist. 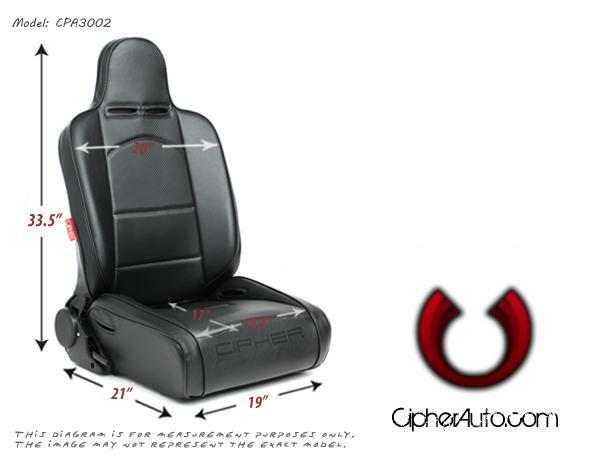 Click the button below to add the CPA3002 All Black Leatherette w/ Red Piping Cipher Auto Universal Reclinable Suspension Seats - PAIR to your wish list.